For much of the world’s population, gathering fuel to cook food is a dangerous proposition. Women and children often journey miles from their homes to collect sticks and branches, exposing themselves to sexual assault, other violence and wild animals. Inside homes across the developing world, smoke from open cooking fires and polluting cookstoves is estimated to cause millions of premature deaths and lead to a wide range of illnesses. A more efficient and clean wood-burning cookstove — developed by the Vashon Island-based non-profit BURN Design Lab in close collaboration with University of Washington mechanical engineers — is expected to reduce the amount of fuel those families need to collect or buy by as much as 55 percent. It will also reduce the exposure of these women and children to the harmful particulate pollution produced by traditional cooking flames. 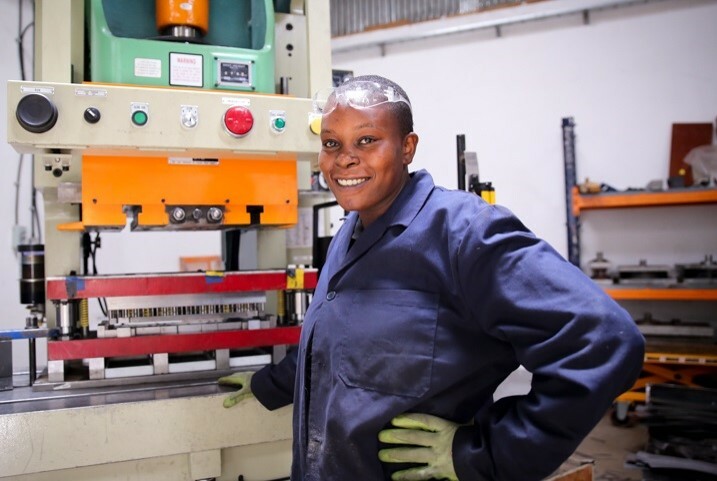 The new wood-burning cookstove will be manufactured in BURN Manufacturing’s factory in Nairobi, Kenya beginning this summer — thanks to a recent $800,000 investment from Unilever and Acumen — and sold across East Africa. “If women have to collect twice as much wood to cook their food, then they’re spending less time raising themselves out of poverty,” said Jonathan Posner, UW associate professor of mechanical engineering and principal investigator of the Department of Energy-funded Clean Cookstove Lab at the UW. “There is no real proven model for a natural-draft stove that’s efficient, looks nice, can be reliably produced and is affordable to people living in deep, deep poverty — we think this is a viable solution where no others really exist. 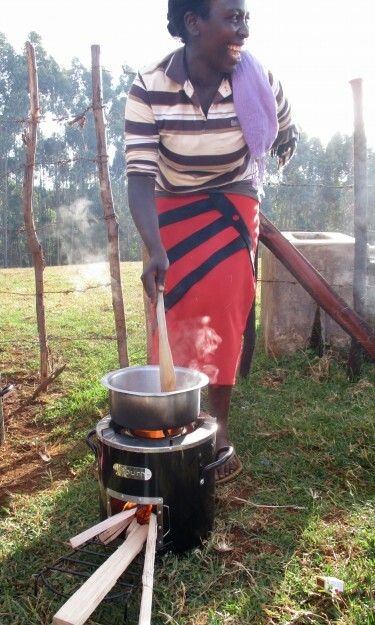 Compared to traditional cooking methods that balance a pot on three stones surrounded by open flame, the “Kuniokoa” cookstove is expected to reduce by 67 percent harmful particulate pollution that increases the risk of contracting asthma, heart diseases and other health problems. It’s the first production stove to emerge from a partnership funded in 2013 by the Department of Energy. The collaboration pairs the UW’s deep expertise in combustion, fluid dynamics and heat transfer research with BURN Design Lab’s experience in designing clean, efficient and affordable stoves that are practical and popular in the developing world. The project’s third partner is the Berkeley Air Monitoring Group. The UW researchers and partners are continuing to develop a next-generation Tier 4 wood-burning stove — the highest ranking on the Global Alliance for Clean Cookstoves’ scale in terms of efficiency and fuel use, total emissions, indoor emissions and safety. The UW engineers are working on transforming a laboratory prototype that hits those metrics into an affordable production stove that can be manufactured in Africa. “Our stoves are similar to concept cars or an F1 vehicle,” said John Kramlich, UW professor of mechanical engineering and co-principal investigator. “We build systems that were never designed to go anywhere near the field because they’re too delicate and are not durable, but they tell us what’s required to get super high performance. Then we take those lessons learned and talk to BURN about how they can incorporate these ideas into their hardened and field-ready designs,” Kramlich said. For now, the wood-burning stove that launches this summer will be sold to farmers and plantation workers on Unilever’s tea estates in Kenya and Tanzania, at a cost of roughly $35 U.S. dollars. As a bonus, it will also be manufactured locally in BURN Manufacturing’s Kenyan factory, which employs roughly 100 people who currently produce a separate line of clean-burning charcoal stoves. For more information, contact Posner at jposner@uw.edu or 206.543.9834.